Dr Emma Mace’s research interest is in developing and applying innovative genomics approaches to support sorghum improvement activities. 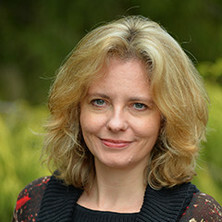 In Dr Mace’s current role leading sorghum genomics research components of research projects funded by the Grains Research Development Corporation (GRDC), the Bill and Melinda Gates Foundation (BMGF), the Australian Research Council (ARC), the Australian Centre for International Agricultural Research (ACIAR) and the Global Crop Diversity Trust, her work focuses on generating significant innovative outcomes across a range of applications, from basic through to applied, specifically in using technologies to bridge the gene to phenotype gap, and to elucidate the genetic basis of quantitative and qualitative traits. Australia produces at least 2 million tonnes of grain sorghum each year. Sorghum is one of the most diverse crop species with great potential for improvement in yield, drought resistance, insect resistance and grain quality. An understanding of the genetic control of key characteristics provides plant breeders with new opportunities to increase the rate of genetic gain and breed new improved genotypes. However, the complexity of gene function determination remains one of the major challenges facing plant biologists today, despite the development and application of new technologies, including high throughput genotyping and next-generation sequencing. The UQ sorghum genomics team, together with researchers at DAF, are using an integrated set of technologies and germplasm collections to enhance gene function determination in sorghum. The integrated application of new technologies and resources within the sorghum breeding program is being used in a range of research projects investigating a range of crop trait characteristics including drought tolerance, grain size, photosynthesis and grain yield.